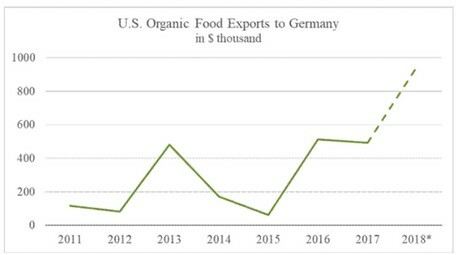 Germany is the 2nd largest organic market in the world, with good prospects for US organic products such as tree nuts, fruits and vegetables, and processed food products. 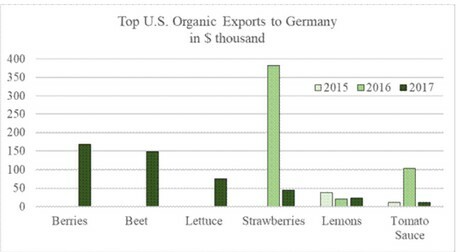 The German organic market is heavily dependent on imports to meet consumer demands. US exports are set to reach new records for 2018, though just a fraction can be tracked officially. This report sets out information on the German organic market, including best prospects such as participation in BioFach, the world’s largest organic trade fair, taking place 13 – 16 February 2019 in Nuremberg. Organic food sales in Germany are split between traditional food retail companies (e.g. grocery stores) and specialty organic food stores. The major driver for the growth in recent years in the organic food sales was the expansion of specialty organic shops.